Clooten Commons coming this summer to Hillsboro! 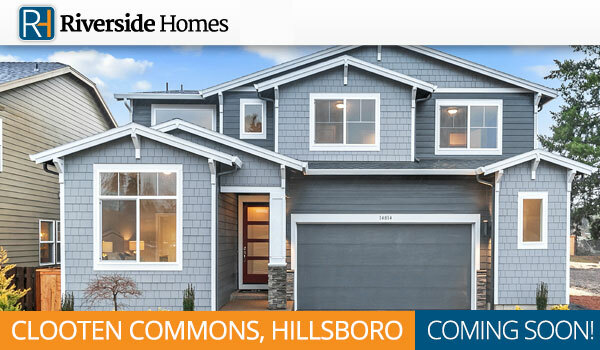 A new Riverside Homes community is coming to Hillsboro! Clooten Commons is a neighborhood of 16 single family-homes ranging from 2300-3100 sq. ft. These open concept floor plans sit on large home sites with fully fenced yards, perfect for your family. Clooten Commons is ideally located, only minutes away from downtown Hillsboro and local schools and businesses. Join the Clooten Commons interest list to be among the first notified of sales releases.